The exception to this rule is for those of you with a heart shaped face – you can mimic your face-shape with your frames. 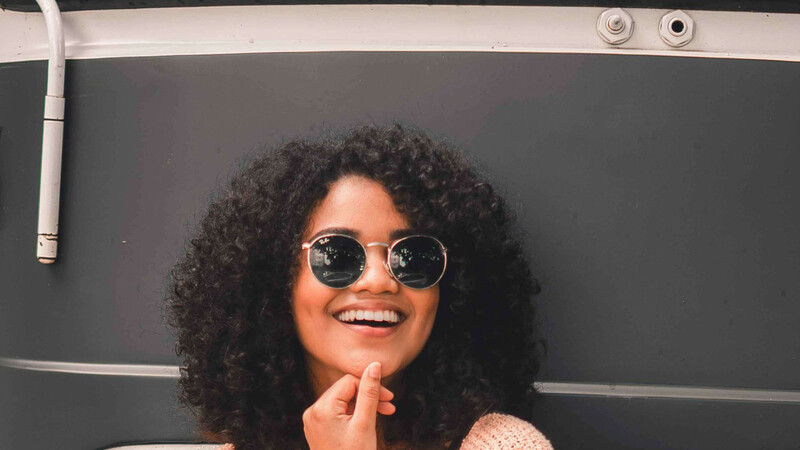 Round – another classic sunglasses shape, from big bug glasses to the smaller-styles, round glasses tend to come in a wide variety of sizes. They will work best for you if you have more angular features so those with a SQUARE face shape will look great in these. If you have a RECTANGLE face shape a more oval style with wider arms that break up the length of the face will work for you. Do remember to keep your proportions in balance too; the larger the face, the larger the sunglasses should be. Whatever your face shape, do think about the COLOUR you choose for your sunglasses and use your colour palette to guide you. As your glasses are worn on your face it is vital they’re in a shade that perfectly complements your colour characteristics. If you’ve had a colour analysis, just lay a selection of sunglasses across your colour wallet and see which pair tones in best. If you’d like to find out which colours of clothing and accessories will make you look your very best, why not book a colour analysis? You can buy sunglasses just about everywhere at every price point. Whilst expensive designer sunglasses have a certain allure, I’m afraid my track record with them is not good – I inevitably lose or damage them! – so these days I often get mine from TK Maxx as they have a wide range of past-season styles at very reasonable prices. This entry was posted in Blog and tagged best colours, body shapes, colour analysis, face shapes, summer style, sunglasses. Bookmark the permalink.